Worcester City defeated nine men Bradford (Park Avenue) at a cold St Georges Lane in the Blue Square Bet North. The Avenue were thwarted in their attempt to win their fourth consecutive game, as well as seeing both Jordan Deacey and Nathan Hotte shown red cards. An early opportunity arose for the home side. A free kick conceded by debutant Jamie Price allowed Greg Mills to whip in a delivery, but, defender Graham Hutchison could only head into the hands of Tim Deasy. However, after ten minutes, the home side took the lead. Another free kick was conceded by the Avenue and an inswinging delivery from Mills was misjudged by Deasy, and Jacob Rowe nodded home from six yards. Shortly after the Loyals’ opener, Bradford replied with an attack of their own. A driving run by right back Michael Duckworth ended with a pass to his winger Tom Greaves, and the number seven cut inside to drag his effort wide from 16 yards. Despite trailing, Bradford were looking to find their way into the game. After scoring twice in two games, Duckworth attempted another spectacular shot from distance, only for the ball to go harmlessly wide. A minute later, Carl Heeney’s side nearly doubled their lead. With the Avenue struggling in numbers in defence, the home side caught their opponents on the counter attack, only for Rob Elvins’ deflected shot to fall into the hands of Deasy. Nonetheless, the Avenue, wearing their third kit of purple and black, offered much in attack. A well worked move saw Duckworth turn with the ball and cross to Greaves, but, his looping header was tipped over by Worcester City stopper Matt Sargeant. The Avenue came close to equalising with a cheeky effort from captain James Knowles. A flighted free kick from Jordan Deacey was half cleared, and the defender flicked the ball with the back of his foot from close range on target, but, his shot was well saved by Sargeant. Within the space of one minute, both teams had chances to score. Firstly, a fine piece of control allowed Avenue striker Danny Holland to spread the play to Duckworth, and the right back’s powerful shot was pushed away by Sargeant. Following the save, the away side caught Bradford on the counter attack. With a long ball aimed towards Kyle Patterson, the Avenue’s defence failed to deal with the clearance, and a lob from the Loyals’ striker went wide. With the game edging to half time, John Deacey’s side continued to pose a threat. After neat footwork from Tom Greaves, his fellow midfielder Alex Davidson was unable to find the target from 12 yards. A minute later, Jordan Deacey tried to score the equaliser. The ball spun inside the penalty area and after a pass from Paul Walker, the midfielder turned and fired a right footed shot over the bar. Again, the Avenue increased their shot count. A deep corner from Deacey was headed away, and Bradford’s number four Richard Marshall attempted another extraordinary shot from 25 yards, but, his left footed half volley flew over the bar. With a minute gone of the second half, Bradford, again troubled their opponents. The Avenue created an opening, as Walker was able to cross for Davidson, but, his left footed volley spun off his boot and into the terraces. Again, the visitors were searching for their elusive equaliser. However, a corner from Deacey was met by Danny Holland, only for his flicked header to be gathered by Sargeant at his far post. Nevertheless, the Avenue were reduced to ten men. Bradford’s Jordan Deacey was cautioned for an off the ball incident, and within three minutes, the midfielder received his second booking for standing over the ball and, furthermore blocked a quick free kick. Following the dismissal of Deacey, the Avenue did not appear to play a defensive method of play. A poor clearance from the home side’s defence found Holland, and the striker’s chip from distance sailed over the bar. With an hour played, Worcester City’s striker Mike Symonds forced a corner, and the resulting delivery saw Jacob Rowe’s header cleared off the line by his opposite number Nathan Hotte. Two minutes later, the ten men nearly scored their first goal. A fine through ball from Walker spotted the run of Greaves, and his pull back was struck by Danny Holland, only for a magnificent block from Loyals’ centre back Hutchison to deny the striker. On the other hand, the home outfit tried to put the game out of sight. A good 40 yard run by winger Charlie Reece drew a low save by Tim Deasy. John Deacey introduced Tom Corner for the away side, and he nearly had an immediate impact. A corner was delivered by Marshall, and the young striker rose above his marker, but, Sargeant produced a fine save, and Walker’s rebound from close range hit the side netting. Somehow, the Avenue substitute was denied again. Once more, Duckworth drove forward, and his cross found Corner, and after bringing the ball down, his close range shot was blocked by Graham Hutchison. Nevertheless, the home side made the most of 11 men, and added their second. The front three combined together, and Reece’s cross was met by Greg Mills, and the winger rounded Deasy to slot the ball into the net. Now leading by two goals, the home side looked more confident. The Loyals’ winger Reece was causing more problems, and after playing substitute Danny Glover though onto goal, the striker dragged his shot wide. With seconds remaining, the visitors were reduced to nine men. As the ball was approaching Greg Mills, Bradford defender Nathan Hotte lunged in, and referee S Bennett reached for his back pocket. The game drew to a close, and the nine men from the Horsfall Stadium were made to rue their missed chances and indiscipline, losing their winning run. However, Bradford remain in fourth place in the Blue Square Bet North. Worcester City: Sargeant, Weir, Deeney, Thorley, Hutchison, Rowe, Reece, Elvins (c) (Breeze 75), Symons, Patterson (Glover 67), Mills. Subs not used: Ayres, Taylor, Thompson. 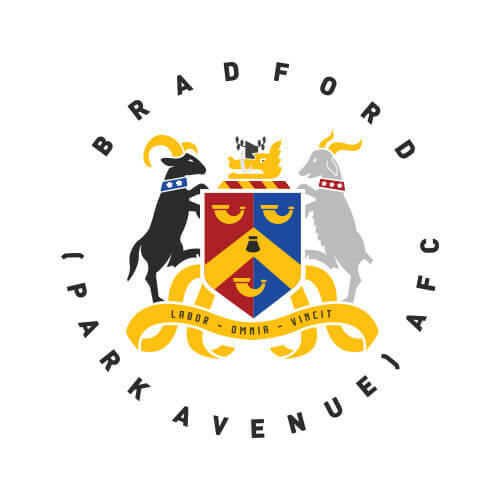 Bradford (Park Avenue): Deasy, Duckworth, Price, Marshall, Knowles (c) (Howe 81), Hotte, Greaves (Corner 68), Davidson (O’Brien 81), Holland, Deacey, Walker. Subs not used: Hume, Radcliffe. Booking: Deacey (2), Knowles, Duckworth.